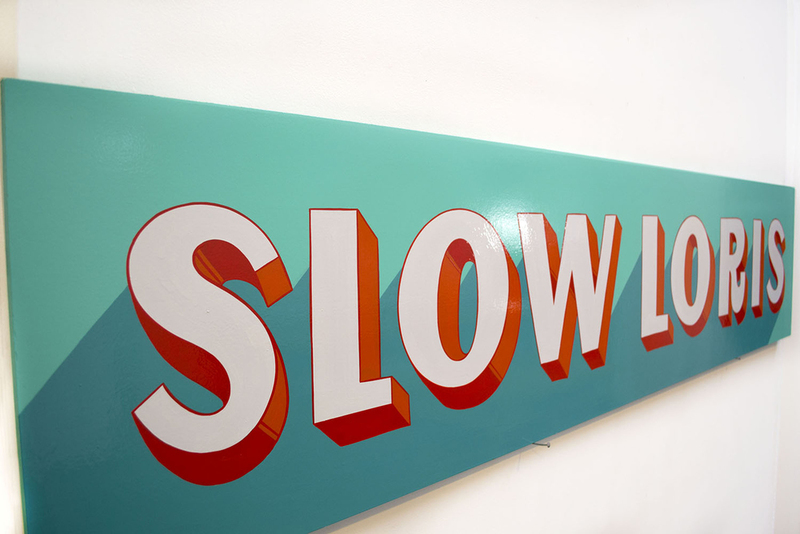 Hand painted sign for Slow Loris Studio's shop at Pike's Place, in Seattle, WA. Slow Loris is screen printed t-shirt shop in Washington, State. Their store at Pike's Place was their first brick and mortar shop, and I was honored that they asked me to design and paint their sign.